Three Saints Bay, LLC Joins HireVeterans.com! 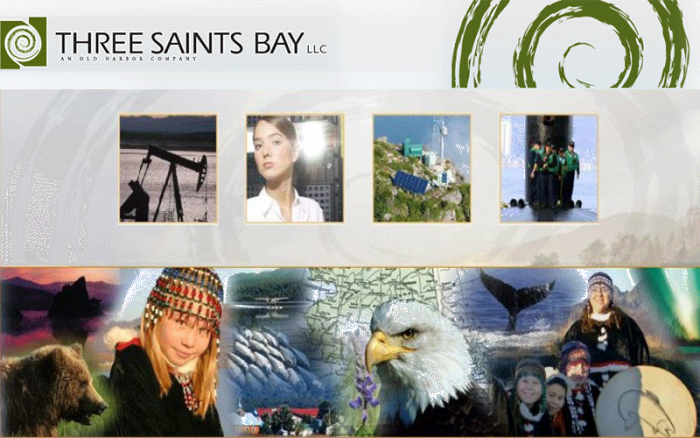 Three Saints Bay, LLC is an Alaska Native Holding Company owned by Old Harbor Native Corporation. Old Harbor, AK is a small Alaskan Native village of about 300 residents on Kodiak Island. Out of respect to their heritage, their company names reflect geographic areas in and around the village of Old Harbor. Three Saints Bay is a 9 mile (14 km)-long inlet on the southeast side of Kodiak Island in southern Alaska, North of Sitkalidak Strait. It is 97km (60 miles) southwest of Kodiak. Three Saints Bay was the site of the first Russian settlement in Alaska in 1784 by Grigory Shelikhov. The bay and settlement were named after one of his ships. The settlement of Three Saints Bay was moved to the site of present-day Kodiak, AK in 1792 when an earthquake and tidal wave destroyed it. The archaeological site was declared a National Historic Landmark in 1978. They are an organization of people who value each other and who treat each other and their customers with the respect they deserve. Three Saints Bay, LLC is committed to creating and fostering a work environment in which employees continually demonstrate that they respect opinions, attitudes, attributes, and feelings of anyone with whom they come in contact during their daily work. At Three Saints Bay, LLC, they believe their employees are their #1 asset. Click Here To View And To Apply To All Of Three Saints Bay, LLC's Available Positions!